“If we don’t do it, somebody else will.” That is a quote from an article by Wall Street Journal reporter Christina Rexrode. When written, Christina was with the Charlotte Observer, the home town newspaper in Bank of America’s home town of Charlotte, North Carolina. Rexrode wrote an excellent feature piece on the intersection of finance and ethics. The piece was written in 2010 when America was still reeling from the financial meltdown. Four years later, the discussion about banking ethics seems to have faded from the national conscience although the aftermath of America’s financial crisis lingers. After six long years, people are finally starting to find jobs, yet millions of Americans remain underwater on their mortgages. Millions more have been displaced and already lost their homes. We worry that the big banks never really learned their lesson. Sure, the Justice Department and some states like New York have levied record breaking fines against the banks and other Wall Street insiders. Those fines and sanctions started to make a difference but it takes more than a few great prosecutors to stamp out fraud. For the system to really work, folks inside these organizations must change. The corporate culture must change. An attitude of “If we don’t do it, somebody else will” doesn’t help. Rexrode properly notes that some bankers are “terrified” of losing market share or not bringing in enough profits. 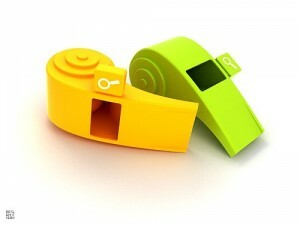 As whistleblower lawyers, we believe that whistleblowers are major part of any solution. The Justice Department and bank regulators can’t be everywhere, all the time. There is an intense pressure within an organization for individuals to not speak up about greed or fraud. Everyone knows that something is wrong yet most people are afraid to stand up and say something that can cost them their jobs or cause co-workers to lose bonus pay. Thankfully, the federal False Claims Act and FIRREA, a 1989 anti fraud law, pay huge cash awards to whistleblowers with inside information about fraud. The False Claims Act is limited to actions that hurt the government or a government backed program. Since the FHA, Freddie Mac and Fannie Mae back most residential mortgages, fraud involving home mortgages qualifies for an award. General bank fraud may qualify for FIRREA, although awards under that program are capped at $1.6 million. Congress passed legislation to both protect whistleblowers from retaliation and to incentivize folks to come forward and report fraud. Although the awards certainly help, most of the whistleblowers we represent are conscientious people that simply grow weary of watching a few top executives make millions while homeowners and borrowers suffer. Think you have inside information about fraud or wrongdoing within a bank, mortgage company, rating agency or loan servicer? Give us a call. Our whistleblower lawyers are dedicated to helping whistleblowers collect the maximum possible award. We have helped already helped whistleblower in three, billion dollar cases either settled or presently pending. Last year the government paid out $435 million in whistleblower awards just from the False Claims Act.